In Florida, it is important to know a company that offers swimming pool repair in Largo that you can trust. There are only so many companies out there, and too many of them overprice for mediocre service. Triangle Pool has over 50 years of experience along with the knowledge and tools to help fix anything that makes your water oasis less than perfect. Maintaining your water facility to pristine perfection is paramount for a commercial property because any defect can be a legal issue. If a pump is malfunctioning, the potential health risks from bacteria buildup can be a liability for the large amount of swimmers. In addition, if the water is cloudy and the algae are unsightly, no one will want to use the facility. We have the tools and resources for swimming pool repair in Largo and surrounding areas for your business. Have you ever experienced the disappointment of going to swim only to see that you now have a filthy, green swamp where your crystal-clear, chlorinated water used to be? Your water amenity isn’t just there when you need it. In Florida, you can use it all year around. Regular maintenance is essential to keep your water oasis healthy for your friends and family. For problems with leaks, pumps, and other parts and systems, Triangle Pool can figure out what is wrong and how to fix it. Having a company you can trust for swimming pool repair in Largo is necessary if anything goes wrong. Triangle Pool can fix parts before they cause more trouble, thus keeping your water amenity safe for all of your guests. A leak in the lines that circulates water can occur. We test the pressure that the lines are able to handle. If there is a drop in the amount of pressure, we find the source of the leak and fix it. 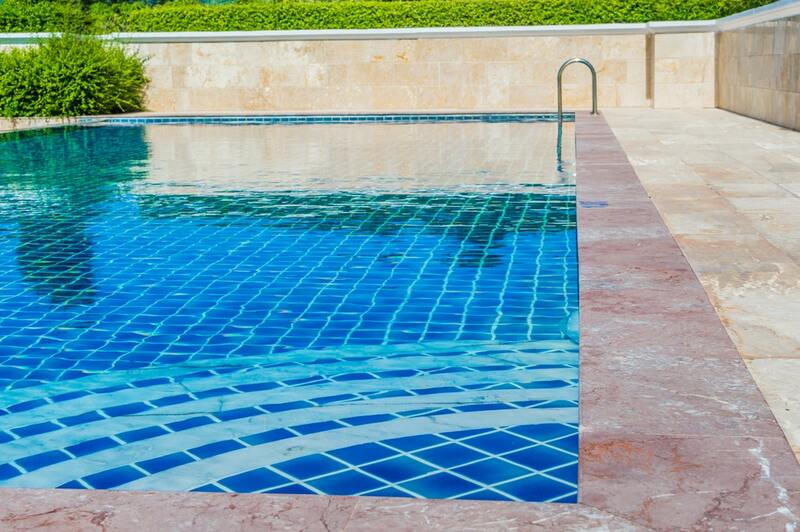 A leak in the surface can require swimming pool repair. If the surface has worn down over time, water may be able to pass through the area. A leak due to seams where drains, returns and lights are located can be dangerous to the structural integrity. For residential and commercial facilities alike, a working pump is essential to the flow and filtration of the water system. If there is a problem with your pump, your water will become cloudy, or, worse, get a green algae tint. Without efficient filtration, your water is stagnant and unhealthy. Triangle can determine if your pump is either malfunctioning or needs to be replaced. Swimming pool repair in Largo is easy when you have Triangle experts on your side. We also recommend regular maintenance contracts to prevent problems with your water system before they affect the safety of your family. Our 50 years of experience, quality customer service, and dedicated professionals enable us to execute efficient, ethical and excellent service. Call us at 727-531-0473 today.